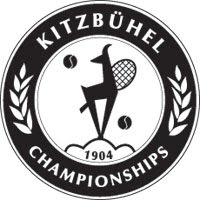 Nestled in the Alps in the Tyrol region of Austria, the Generali Open Kitzbühel is home to one of the most picturesque venues on the ATP World Tour. The clay-court event is waiting for its first Austrian singles champion since 1993, when Thomas Muster won the title. Dominic Thiem came close with a runner-up finish in 2014. Local resident Philipp Kohlschreiber lifted the trophy in 2015 and 2017.